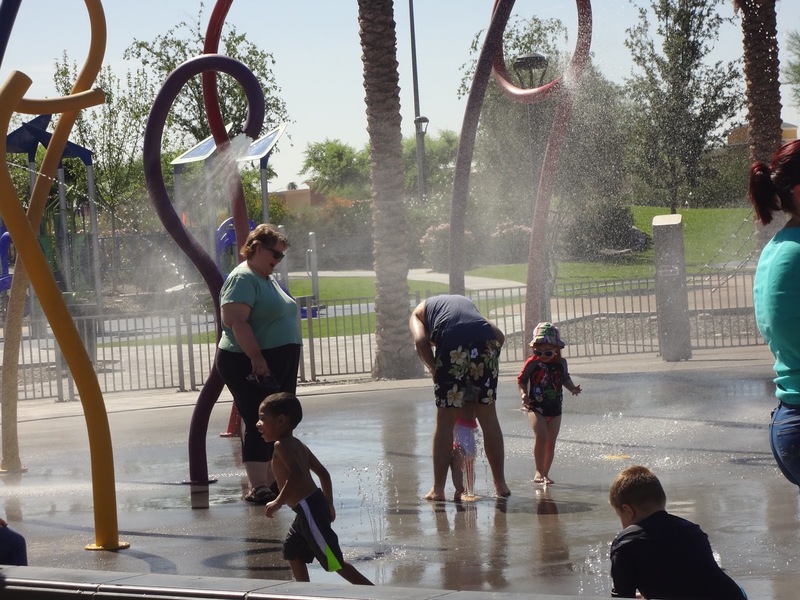 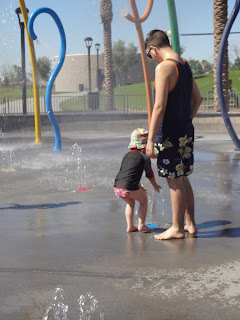 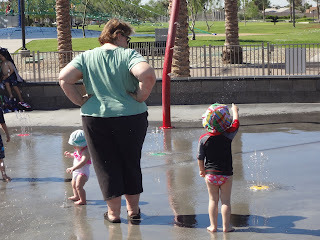 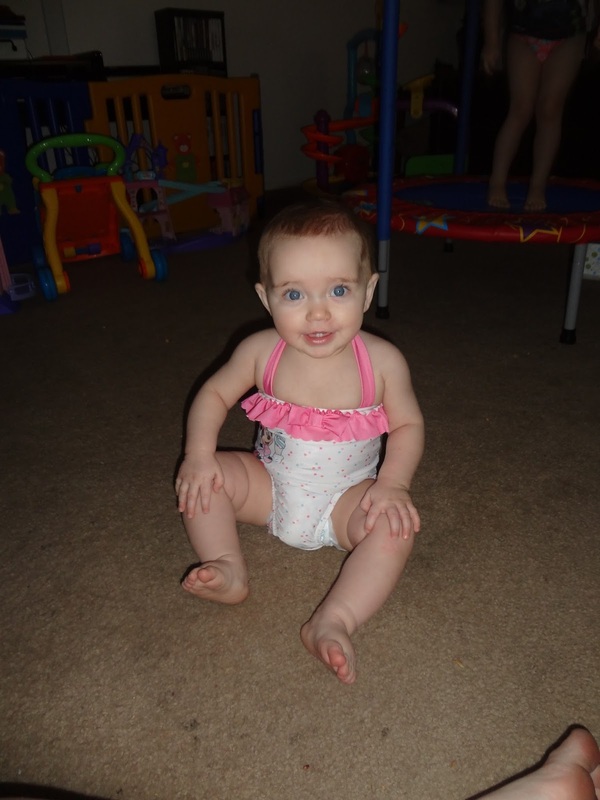 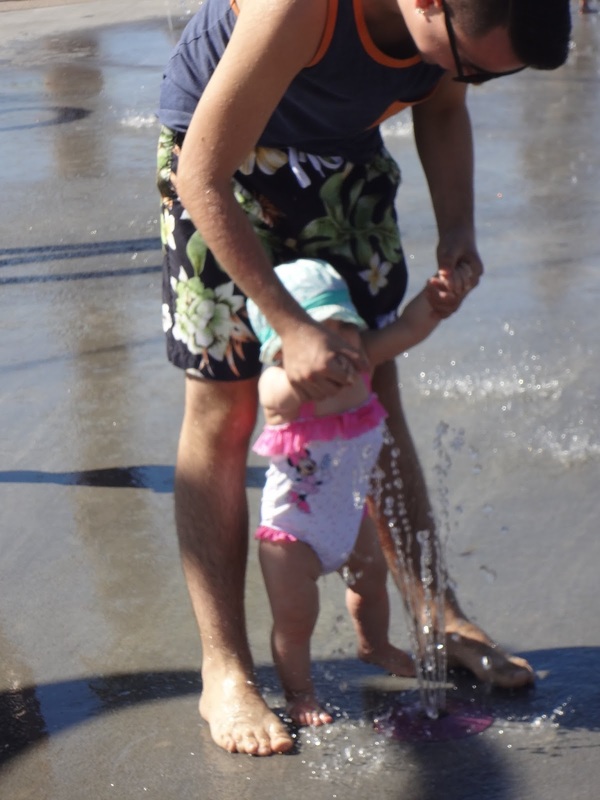 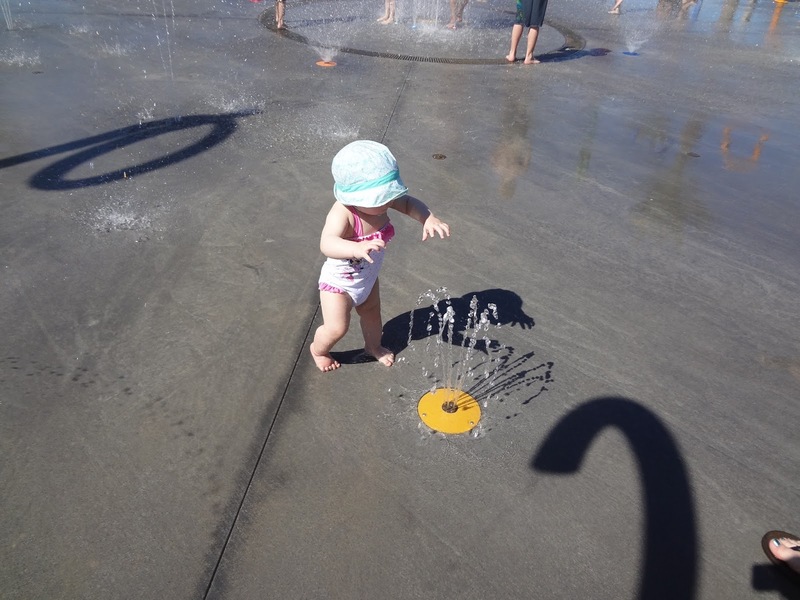 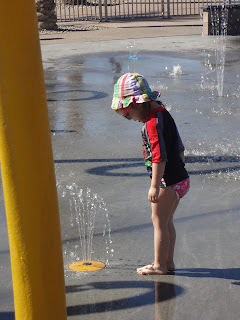 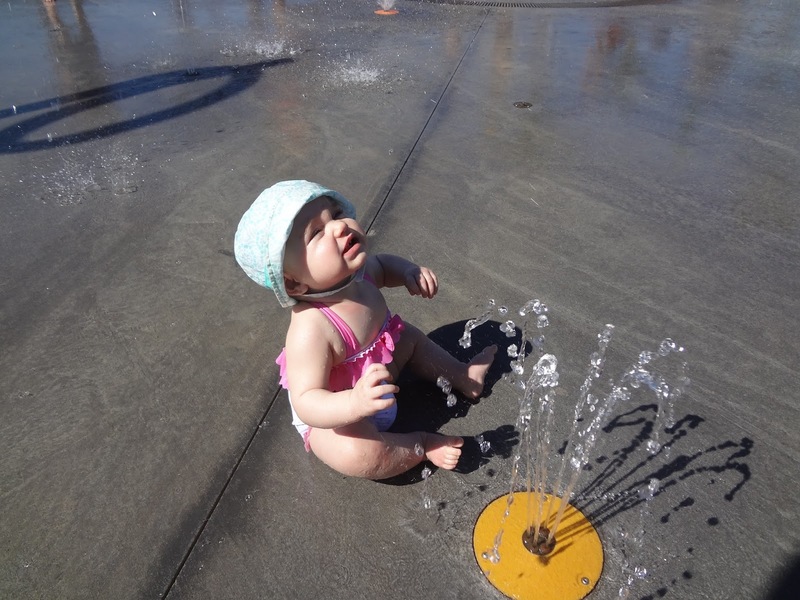 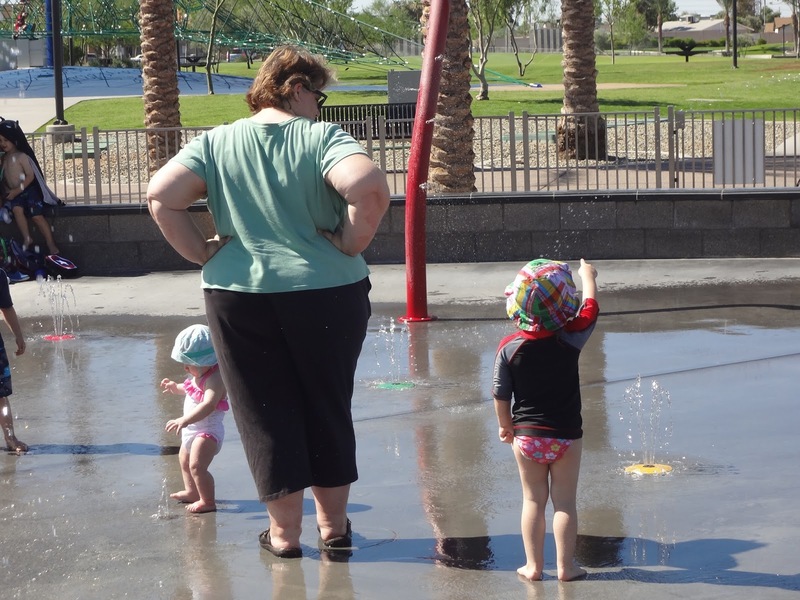 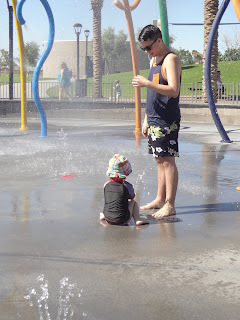 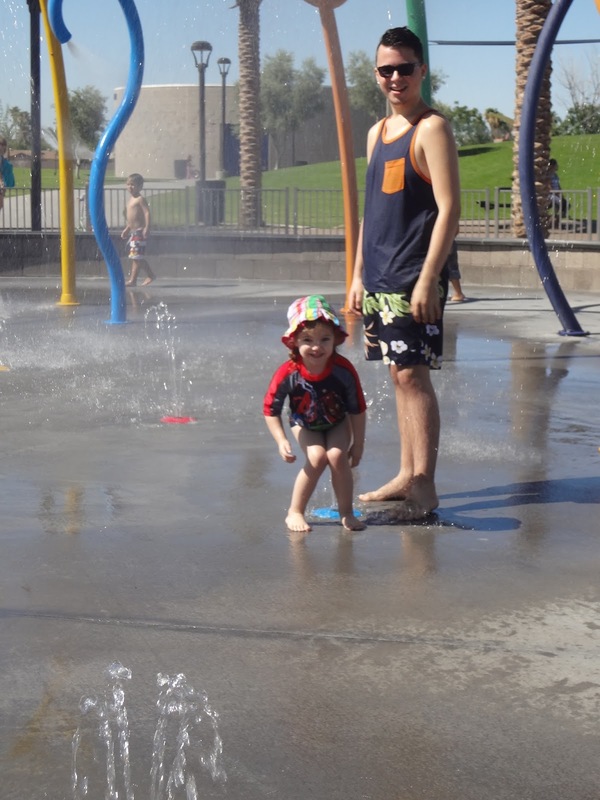 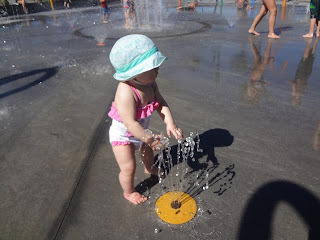 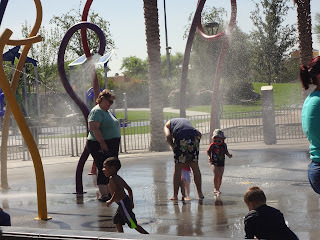 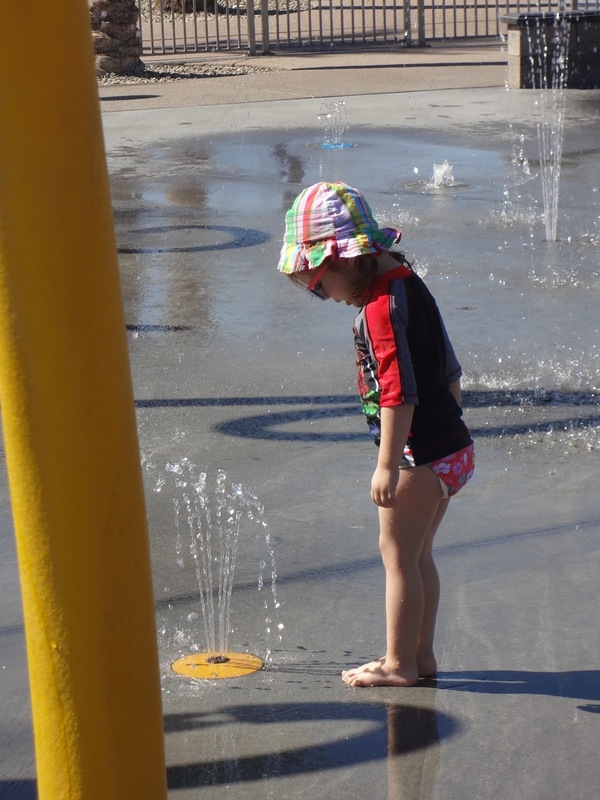 Our Happily Ever After: Splash Pad! We got there and Rory had been so excited, then she saw the water hahahaha she's such a scaredy cat when it comes to non-bath water! 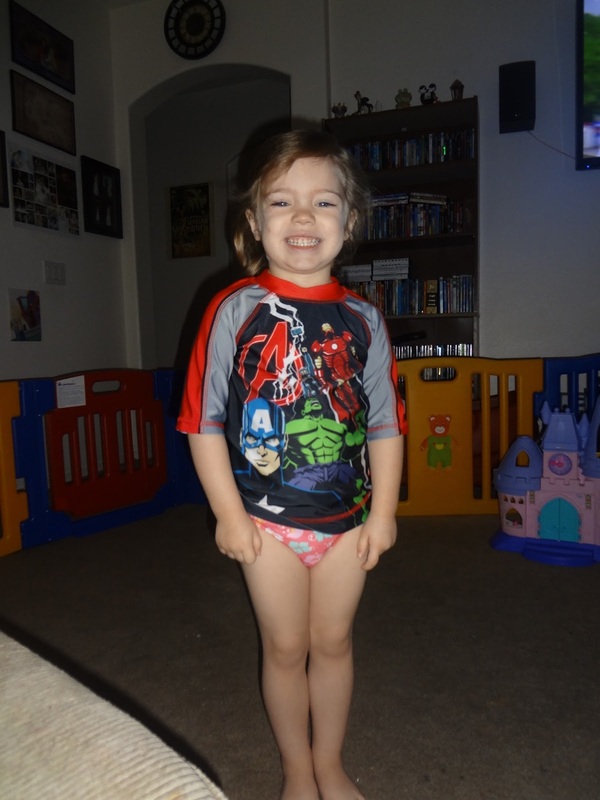 Jade however, after a little encouragement from me, just took off! 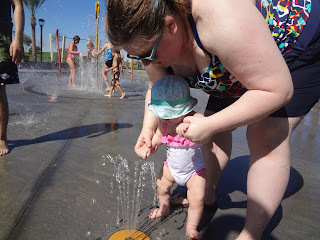 After we thoroughly exhausted ourselves we went to lunch at Panda with everyone and then drove home for a nice and LONG nap and quiet time which turned into a nap ;) All in all an amazing day! 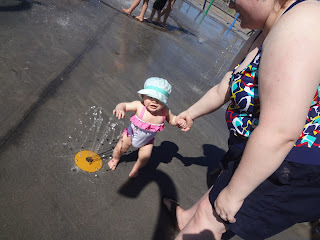 AND I found my point and shoot camera finally so now I should hopefully have some better-than-my-phone pics in all my posts now! WIN-WIN! 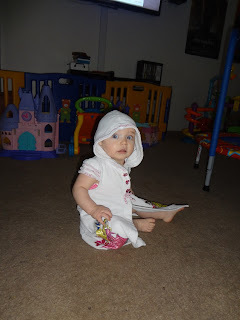 Next post I'll show you what we've done in the living room redecorating project!